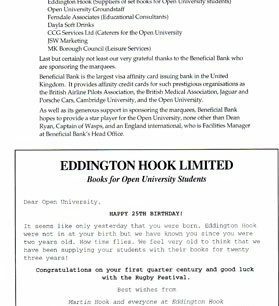 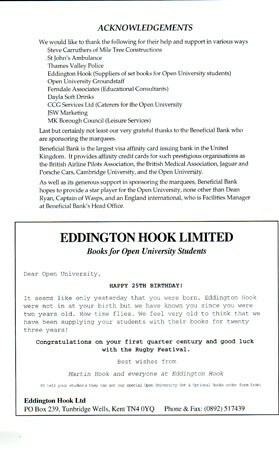 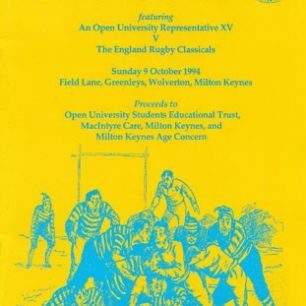 The Open University Rugby Festival Programme featuring An Open University Representative XV v. England Rugby Classicals. 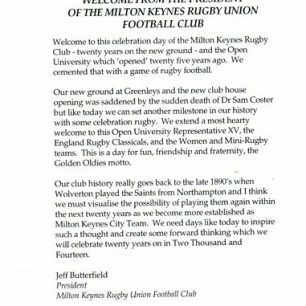 held on Sunday 9 October 1994 at Field Lane, Greenleys, Wolverton. 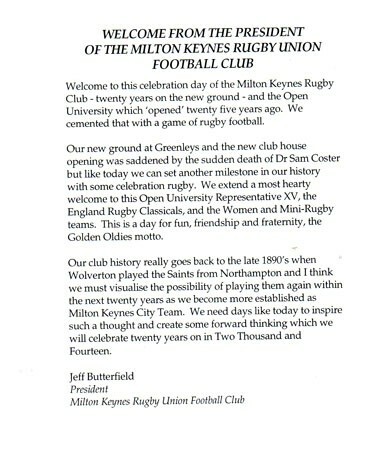 Inside is a Welcome from the Vice-Chancellor of the Open University Sir John Daniel and from the President of Milton Keynes RUFC Jeff Butterfield and news articles about the history of the OU and Milton Keynes Rugby Club. 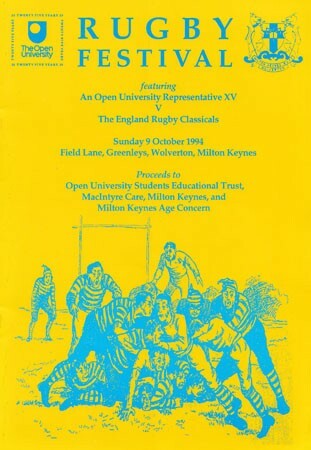 The Programme lists the matches for the day and other columns of interest and advertisements.